Avionics, Military & Space Point of Load DC-DC Converters | VPT, Inc.
VPT’s point-of-load converters can be used alone or in conjunction with either the DV Series of hybrid DC-DC converters or the SV and SVR Series of space DC-DC converters as part of VPT’s High Efficiency, Reliability Optimized (HERO) Power Systems. Non-isolated, synchronous, buck regulated converters step down the voltage at the point of end use. These hi-rel POL modules are ultra light weight, have a tiny footprint, and offer incredible high efficiency to provide designers with a smaller, more affordable point-of-of use power converter option. 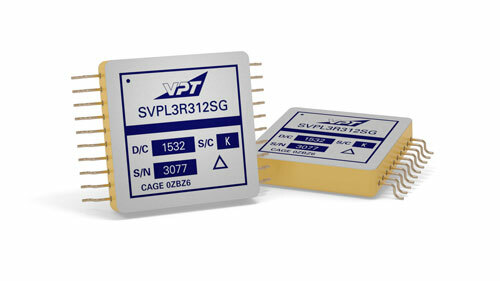 VPT’s point-of-load converters are the first in the world to be designed and built to military-grade reliability as defined in MIL-PRF-38534 Class H and Class K.